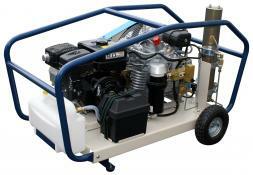 Bauer Compressor is a world leader in high pressure breathing air compressor design. Bauers best in industry purification system designs and long maintenance intervals give them the lowest cost of ownership in the industry. 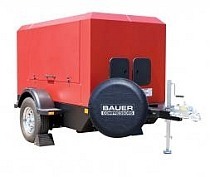 With stationary designs from 5 to 206 cfm and mobile designs from 3 to 26 cfm charging rates, Bauer has a compressor system to fit your Breathing Air needs. 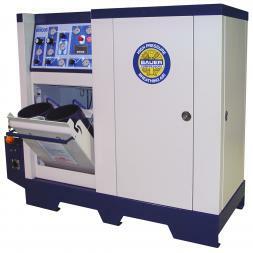 Bauer's Unicus III is the industry's premier integrated compressor and fill station. 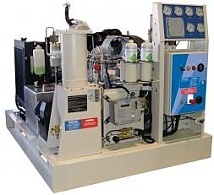 Start with your choice of Bauer's 5,000 or 6,000 psi compressor blocks in your choice of cfm and Bauer's industry leading SECURUS purification system, add a 3 position CFS-3 fill station with cascade control panel and up to 4 ASME or ISO storage cylinders. 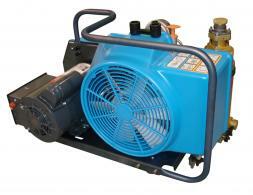 Add optional equipment like a integrated CO monitor, 75 foot high pressure hose reel or an auto cascade system for a full system in one package. Bauer's Mini Unicus is the budget minded answer to the integrated system. Featuring Bauer's 5,000 or 6,000 psi compressors and SECURUS purification system, a two cylinder storage system and two position fill station featuring an easy to operate bulk fill system, Mini Unicus puts everything you need foor cylinder filling in a smaller package. Bauer Compressor Mini and Maxi Verticus pack the power of Bauer's industry leading compressor blocks and purification systems into an attractive enclosed and sound attenuated cabinet design. The Verticus cabinet is designed to decrease sound levels to approximately 70 dBA for the Mini and 79 dBA for the Maxi models. Bauer's SECURUS electronic moisture monitoring system ensure and industry leading purification cartridge technology ensure you breathing air meets your specs. 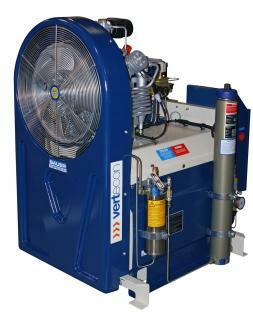 Bauer's Vertecon series compressors are space saving and economical. The vertical design limits the foot print, saving space, and the open design means no tools are required for routine maintenance. 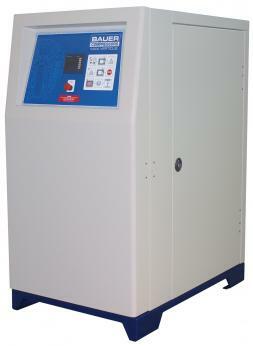 PLC based controller with four lines of text and an automatic condensate drain system ensure ease of operation. The Junior II, Oceanus and Divemate portable compressor take Bauer's leading compressor and purification designs and put them on an easily transportable package. Take your Bauer with you. Whether your diving in a remote location, performing confined space or hazardous materials rescue off the beaten path, or any other task requiring high pressure air, Bauer has you covered with Gas, diesel and electric options. 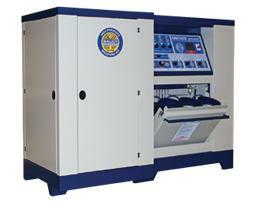 Bauer is a world leader in Breathing Air, Industrial and CNG compressors.